The Masquerade of Liars Creeps In! The Masquerade of Liars creeps into Neverwinter, giving every adventurer the chance to be someone or something they’re not! To participate in the event, visit the Masquerade Master at the event dais in Protector’s Enclave where he’ll explain the daily quests and the rewards available this year. If you’re too busy tricking and treating this weekend, Bags of Masquerade Tokens are also available on the Zen Market. New This Year: The Contest of Liars - This year, 3 factions are vying for your attention, each with their own agenda and rewards. Visit the Dev Blog for more details! Daily Quest: Trade of Treats - For this Daily Quest, players can obtain Liar's Charms from interacting with pumpkins around Protector’s Enclave as well as from killing enemies. They will then have to find Masquerade Illusionists, who wander the streets, entertain citizens and trade them Liar's Charms. 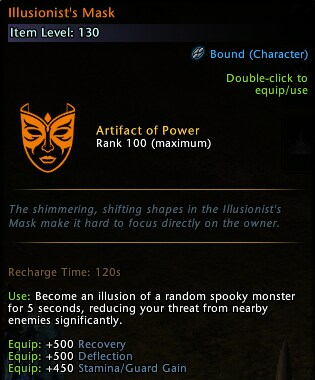 Players will have to trade Charms to different Illusionists to receive Illusionist’s Bags, which contain two to three Masquerade Tokens, refinement items for the Illusionist’s Mask and perhaps a Beholder Piñata. After you complete your daily quests, you'll still be able to trade Liar's Charms to Illusionists for additional bags! One Liar’s Charm can also be traded for one Masquerade Token with the Masquerade Master. Daily Quest: Lore of Liars - Learn more about the lore behind the festival and receive a lore entry. After completing this quest, players will receive 5 Masquerade Tokens. Every day, the Loremaster will have a new piece of lore for you to learn! What kind of rewards could you earn from the Masquerade of Liars Festival? 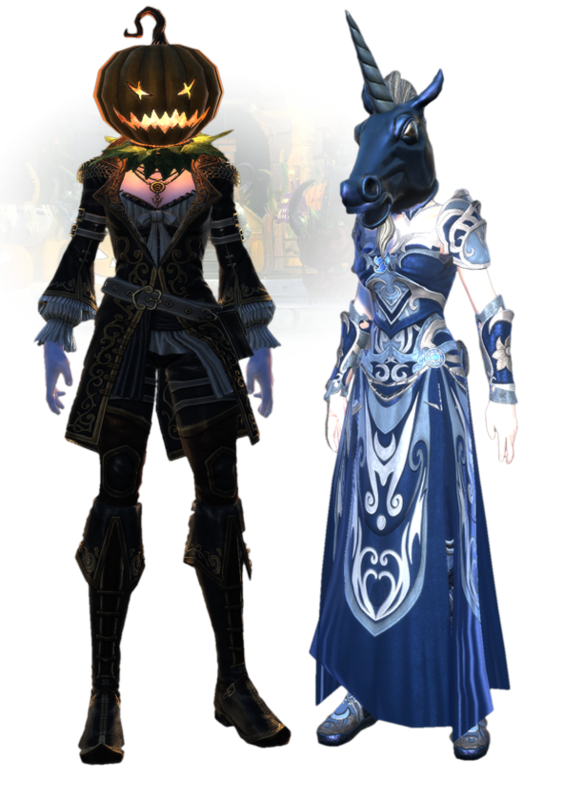 Exchanging Masquerade Tokens with the Masquerade Vendor in Protector's Enclave could earn you these spooky and terrifying rewards! 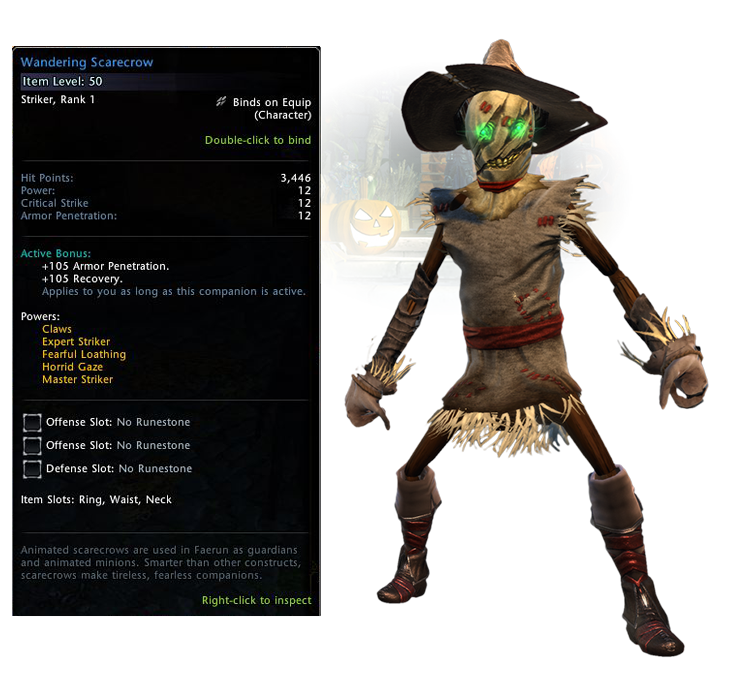 Wandering Scarecrow –The Wandering Scarecrow returns with its terrifying gaze. It’ll send you running in a frightful craze! Skeleton – Effective against other undead, giving meaning to know your enemy. 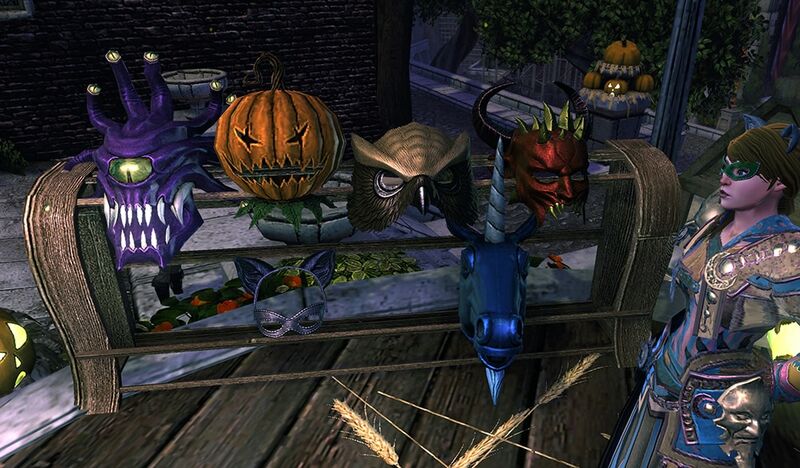 Fashion Masks - There are tons of masks to collect and outfit your character with! You’ll stand out from the crowd as more than a myth. Will you wear the Eye Tyrant Mask, the Mask of the Pit Fiend, Mask of Lurue, Mask of Sharess, Jack o’Liar Mask, Mask of the Owl, or Orcus Mask? 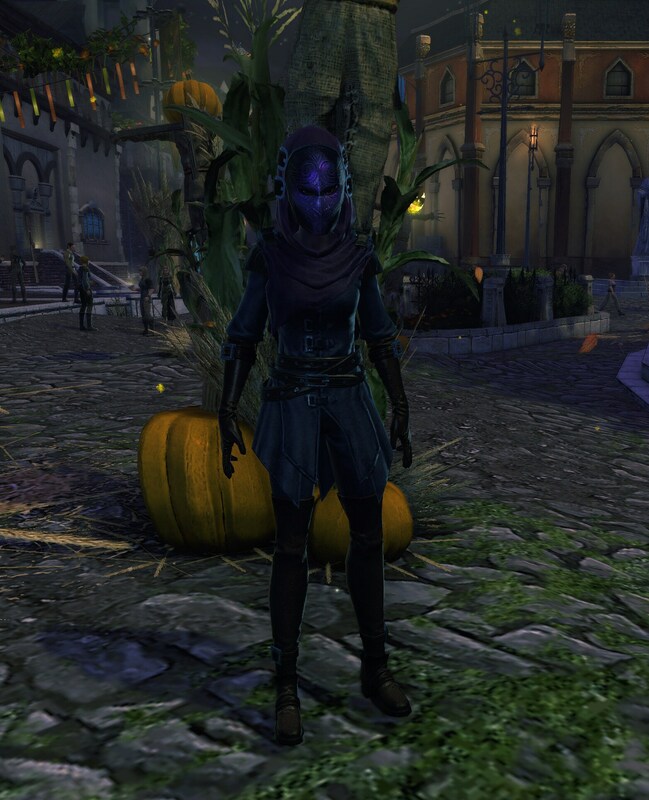 Fashion Set – Conceal your identity with the Headgear, Tunic, and Leggings of the Masquerade. Spooky Masquerade Feast – serve a ghoulish feast at your Guild’s Great Hall! 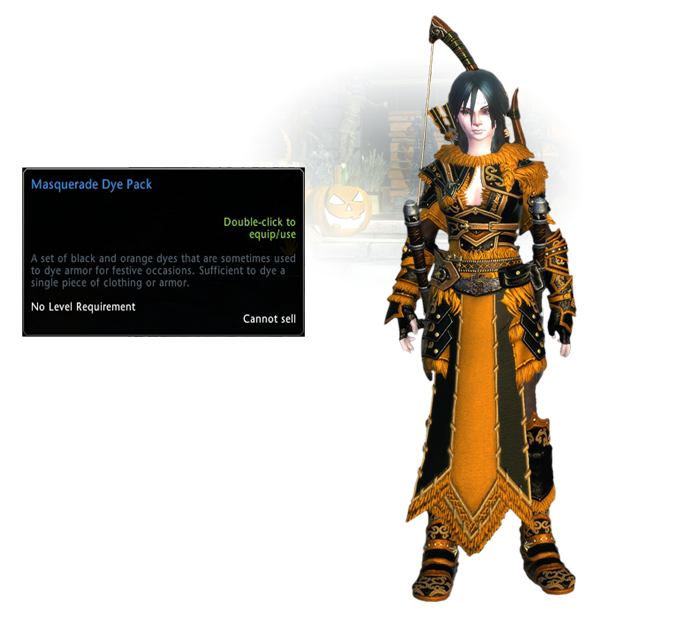 Masquerade Dye Pack – Dye your gear a bright orange and sinister black with the festive and spooky Masquerade Dye Pack. 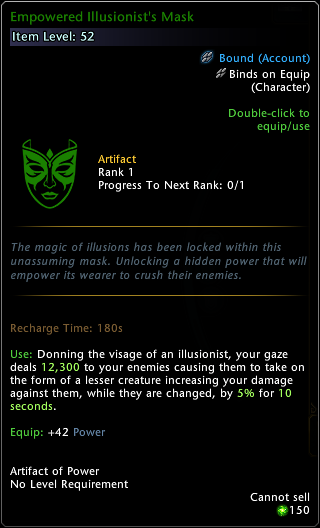 Empowered Illusionist's Mask – New this year, players will be able to exchange their fully upgraded Illusionist's Mask along with Masquerade Tokens to obtain this powerful artifact! 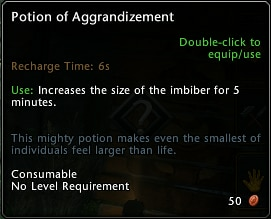 Item is obtained at Uncommon and can be upgraded to Mythic quality. 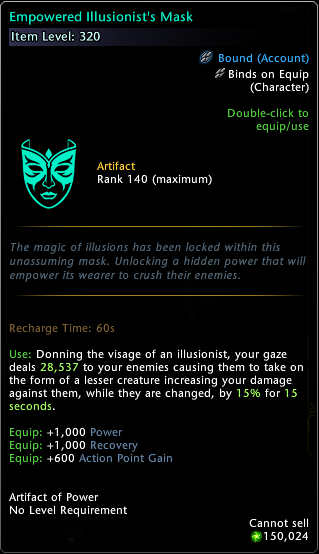 Illusionist's Mask - The Illusionist’s Mask has a Legendary rank, so get those refinement items out of the bank! On use, become a random spooky monster for five seconds, then walk to your friends and watch them beckon. 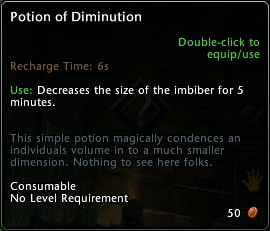 At Epic quality, for console, you may now use normal refinement food, so do yourself a favor, and do be shrewd. 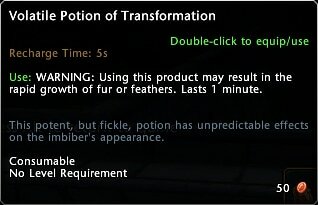 Transformation Potions – Feel larger than life, shrink down, or become a chicken or a wolf and give your friends a start. Careful with these! They’re not for the faint of heart. It’s time to scare, for what you wear will decide the fright that comes at night!